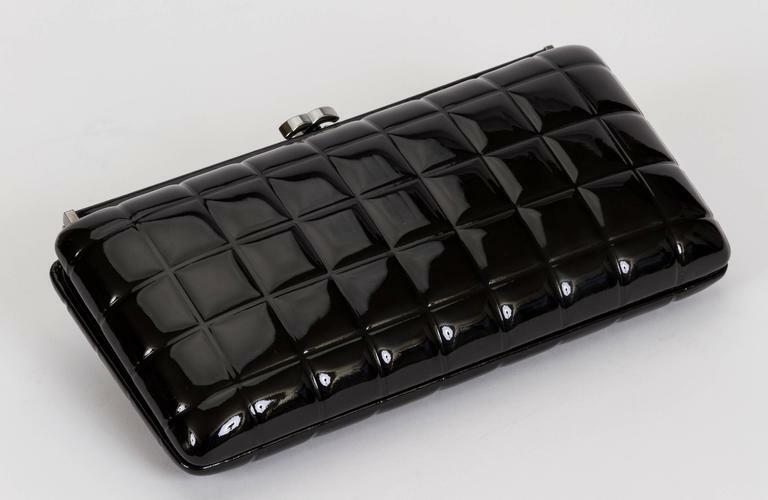 Chanel black patent leather quilted clutch, hard shell. Great condition. Comes with booklet, hologram, id card and dust cover. 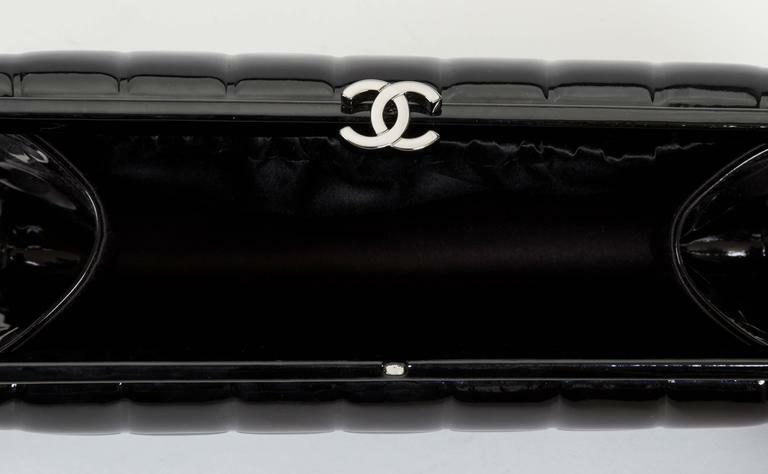 Chanel brand new in box timeless black and white quilted camellia clutch. Signature logo camellia with black velvet ribbon. Comes with hologram, ID card, booklet, box and ribbon. 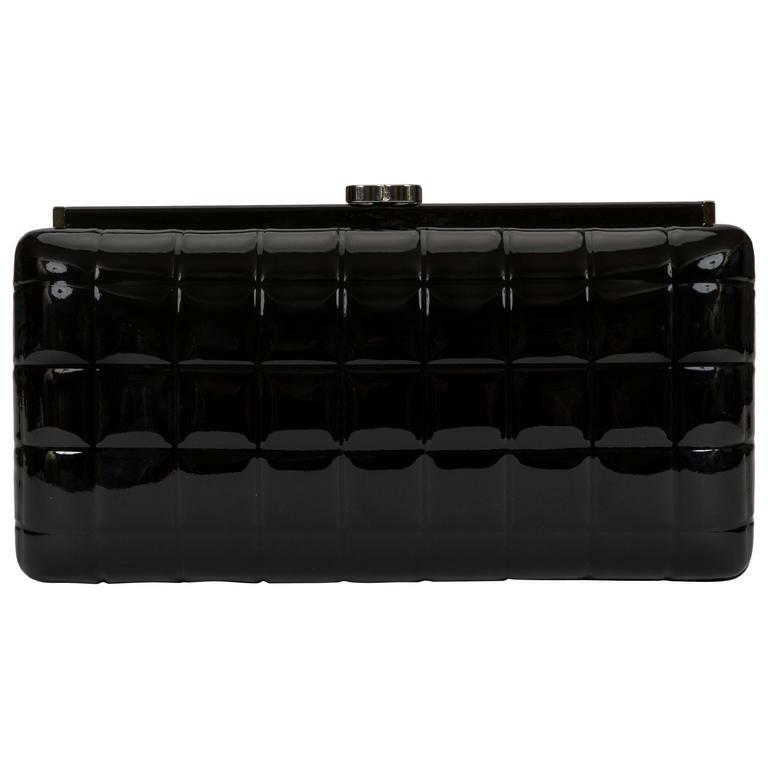 Brand new in box, Chanel medium striped clutch. Black, grey and beige. Comes with hologram, id card, dust cover, box and ribbon. 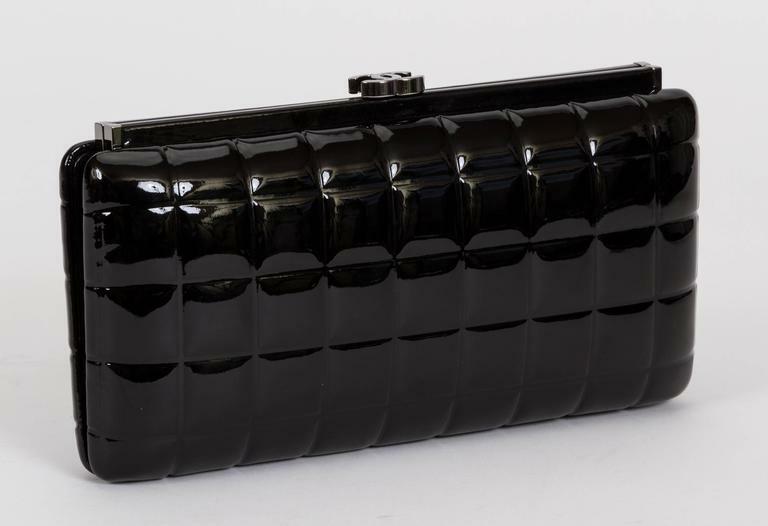 Chanel brand new in box black and red Paris Salzburg clutch. Comes with hologram, id card, booklet, dust cover, camellia, ribbon and box. 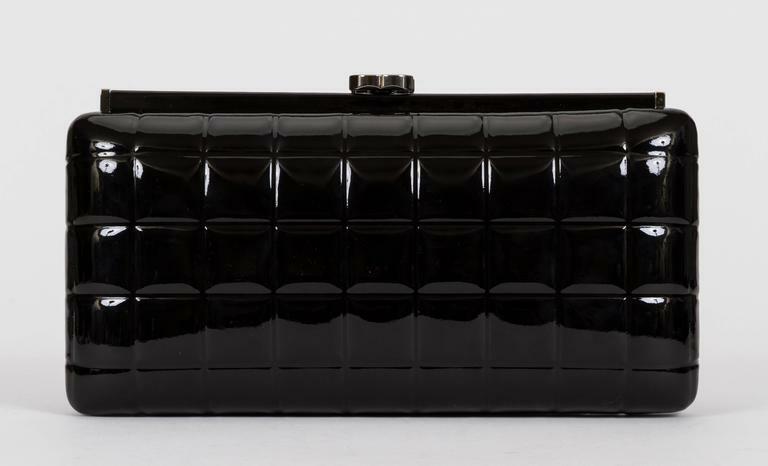 Chanel brand new in box navy blue and black Paris Salzburg clutch. Leather and felt accent. Comes with hologram, id card, booklet, dust cover, camellia, ribbon and box.